Musk expects to reveal more plans for Neuralink next week. The company will design networks to link human brains with embedded electrodes capable of transferring thoughts to a computer, according to the Wall Street Journal. An executive involved in the venture described the company to the journal as “embryonic.” Neuralink was incorporated last year, and has hired several academics from medical research fields. 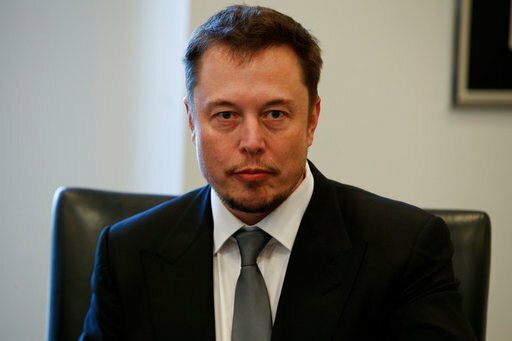 Musk acknowledged Tuesday on Twitter that it was “difficult to dedicate the time,” but he feels the risk is “existential.” The venture could give humans an advantage when living with new generations of super-intelligent machines. Musk often warns of the dangers of artificial intelligence threatening human existence. He’s even suggested one reason to colonize Mars is to have an escape hatch if rogue AI brings havoc to earth. Neuralink enters a fast-growing field that could lead to advances in brain function and medicine. Joshua Conner, an adjunct professor of computer engineering at Santa Clara University, said the artificial intelligence field has grown rapidly in the last 10 years. Tech companies continue to develop new AI capabilities and bring them to market. Conner said research is pushing into fields to add capacity to the human brain — either to supplement human memory, add intelligence or computing power, or interfacing with tissues to treat neurological disorders. “It’s very much cutting edge,” Conner said. The Defense Advanced Research Projects Agency, or DARPA, is studying the potential medical benefits of electronic implants and the nervous system. Researchers at the agency believe technology could allow the body to better heal itself, and create a bridge between the digital and neural worlds. Musk will have to find the bandwidth to lead another venture. He already leads Tesla and SpaceX, two companies facing major growth and challenges. He’s also spun off an idea to create a tunnel boring company to drill under highways to create new routes to avoid traffic. CFRA Research analyst Efraim Levy raised his target for Tesla stock on news it received a vote of confidence from a major Chinese investor, Tencent, which has bought a 5 percent stake in the electric-vehicle company. The new startup, however, could blur Musk’s focus on his core companies. 0 Response to "Elon Musk’s new startup — your brain"